Last month my husband and I hung a hummingbird feeder out in the yard. 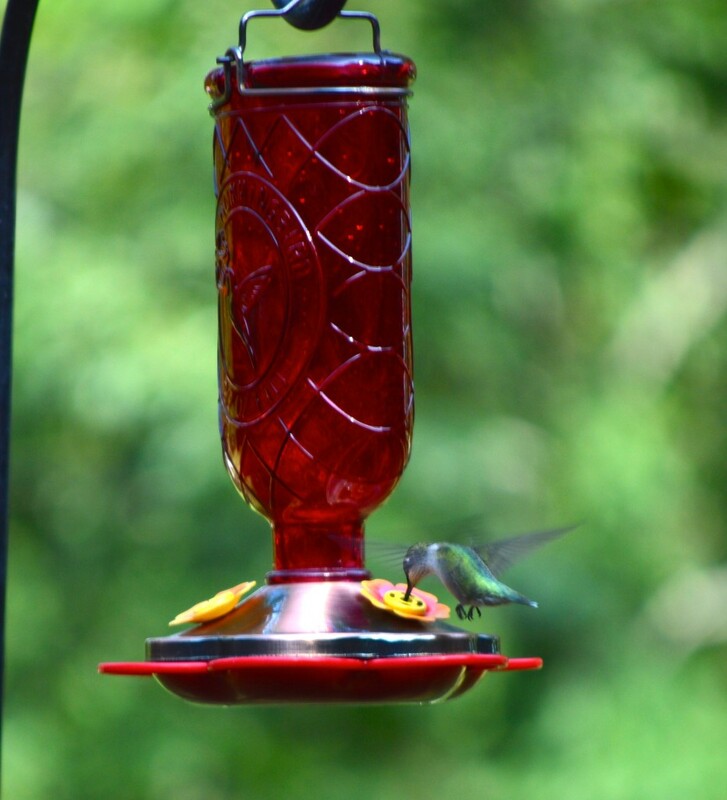 We bought a bottle of hummingbird “sucrose” without dye and filled the feeder. For three weeks the feeder was rejected. Then I refilled the feeder with sugar water that I prepared at home with organic sugar and filtered water. Immediately hummingbirds visited the feeder multiple times a day. They rejected the store bought sugar water for two reasons, I believe. It has preservatives and genetically modified (GMO) sugar. Are you consuming GMO sugar? Half the sugar sold in the U.S. is from sugar beets. Nearly 100% of sugar from sugar beets is Genetically Modified. How to know if you are eating GMO sugar. 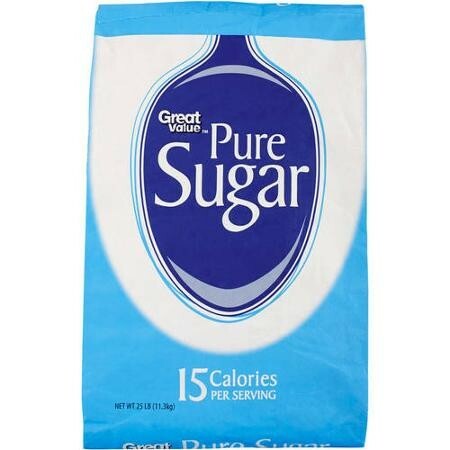 “Sugar” on an ingredient label is considered to be GMO unless it is specifically labeled as 100% cane sugar or Certified Organic Sugar. Grab any package of food in your pantry and check for added sugar. Is it cane sugar or is it GMO sugar? Kellogg’s and all cereal manufacturers are not to be trusted. Cereal manufacturer Kellogg’s is losing market share even though they spend a billion a year on advertising trying to sell you JUNK! This breakfast turns into 31 teaspoons of sugar once consumed! Click to read my post. American’s are beginning to shift away from boxed breakfast cereal and either eating quick foods like yogurt and fruit or they are making a more labor intensive, protein rich, low-carb breakfast at home. Boxed cereal is being exposed and people are beginning to understand that cereal is not a nourishing food, not matter how many billions of dollars are spent to convince your otherwise. I reject all boxed cereal. No matter what the label says, “whole grains” in a box of cereal are not healthy. These grains are treated with high heat and pressure, destroying most of the nutrients and damaging the fats. The extrusion process creates something very toxic, as shown in animal studies. Cereal has genetically modified ingredients. Kellogg’s Froot Loops cereal tested positive for GMOs and weed killer. Interesting to note that Kellogg’s ships products to Europe with plant-based flavorings and colors along with GMO-free sugar, but in the US the products contain GMO sugar, dye and unidentified flavors. We don’t need a healthier version of Froot Loops, but when comparing ingredients on what Kellogg’s ships to Europe vs what is being sold in America it is shameful. US Froot Loops ingredients are vastly different when it comes to color and flavors: “Red 40, Natural Flavor (MSG? ), Blue 2, Turmeric Color, Yellow 6, Annatto Color, Blue 1.” Read my posts on health problems associated with food dye and flavors. This cereal, and many packaged cold cereals, will give you a triple dose of genetically modified ingredients from sugar, corn and GMO soybean oil. 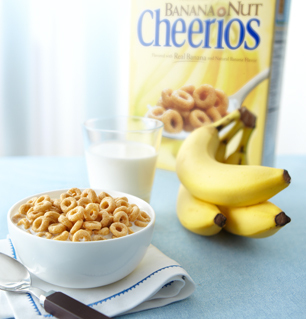 Other toxic ingredients in cereal include trans fats, MSG, dye, preservatives and junk vitamins. GMO ingredients (sugar, corn, soy, canola) are commonly found in all types of processed foods. 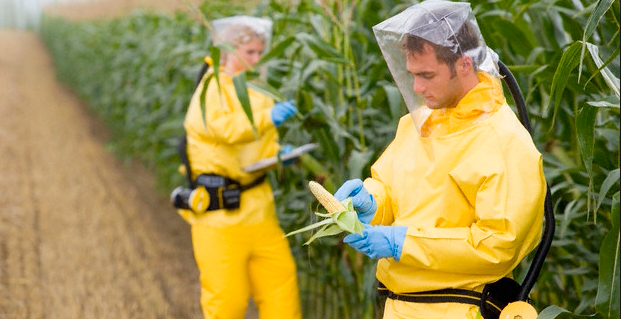 The health risks associated with GMO foods are many. toxic to human cells (1). signs of organ toxicity (4)(5)(6). There are eight GM food crops. The five major varieties—soy, corn, canola, cotton, and sugar beets—have bacterial genes inserted, which allow the plants to survive an otherwise deadly dose of weed killer. Read my post on GMO. 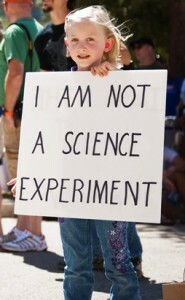 Avoid genetically modified ingredients at all cost and do not feed GMO foods to your children. Now is the time to take back your kitchen and prepare food at home from real ingredients. It is easy to avoid GMO ingredients, preservatives, dye, trans fats and chemicals when eating a nutrient-dense, real food diet. The long-term effects of GMO foods have never been studied and never proven to be safe for humans. 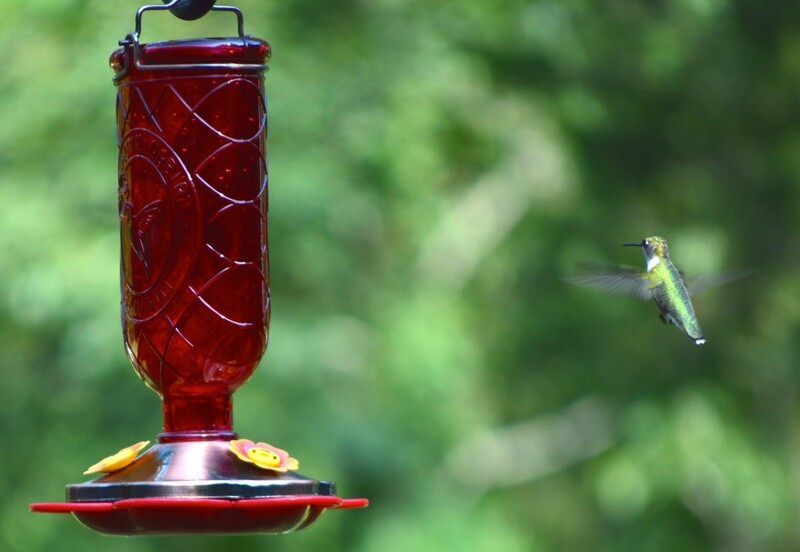 Take a cue from the hummingbird. Avoid GMO foods and preservatives. We need real nutrients for health. Real fat, like organic butter, eggs from pasture-raised chickens, protein from wild caught fish and organically raised, grass-fed/finished animals, vegetables, fruit, seeds and nuts. You can’t eat out of boxes, cans, packages and drive up windows and hope for health and weight loss. Make a move to change, and eat real food, drink pure water and move your body.